Maupin, Cox & LeGoy is one of Nevada’s most respected law firms. Maupin, Cox & LeGoy is one of Nevada’s oldest and most respected law firms. We are a full service law firm that has developed a national reputation for excellence, while at the same time preserving and cherishing our homegrown local roots. 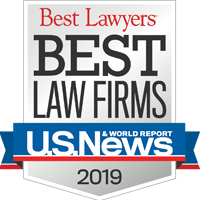 Through its “Best Lawyers-Best Law Firms” initiative, U.S. News & World Report has consistently recognized Maupin, Cox & LeGoy as one of the top law firms in the State of Nevada. From long-time rural Nevada ranching families to Reno start-up technology companies, from sophisticated family trust companies to the young couple just starting a family, and from international Fortune 500 companies to the mom & pop storefront business, Maupin, Cox & LeGoy has the history, experience, and knowledge to provide the guidance and counsel you can rely on and trust. We are proud of our reputation and appreciate the continued opportunity to serve our clients, both within the great State of Nevada and beyond.